Adventurers of all sorts can benefit by wearing the Studded Wrist Bracers. 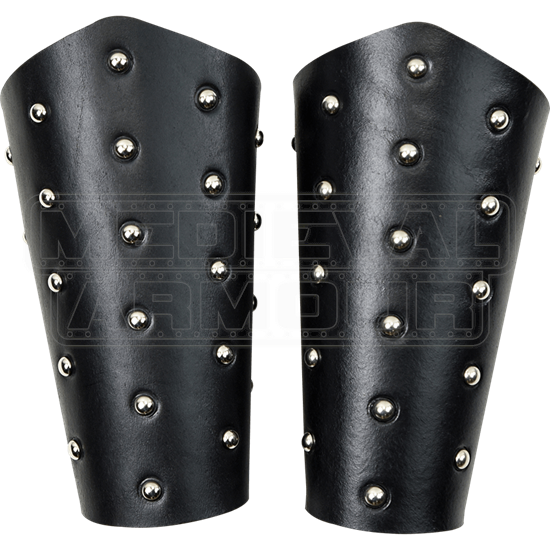 Easy to add to almost any medieval, Renaissance, or fantasy outfit, these leather wrist bracers are versatile armour pieces with just the right amount of detail. Handcrafted from high quality leather, these wrist bracers are available in a wide variety of colors and each is embellished throughout with domed rivets in your choice of steel, brass, or antique brass. 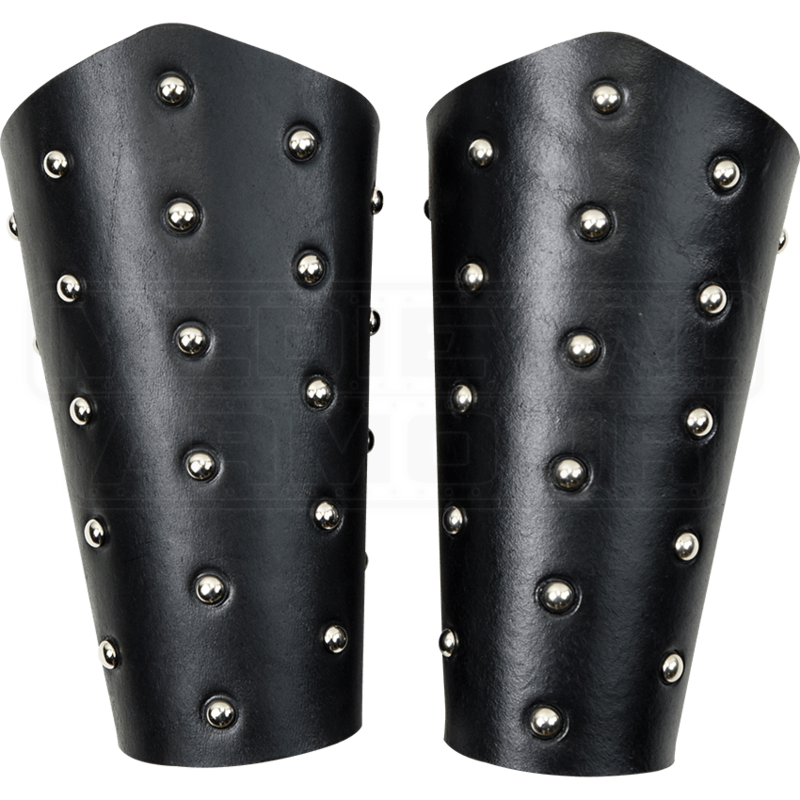 Perfect for adding a warrior vibe to any outfit, the leather bracers are secured to the wrist and lower forearm with adjustable leather cord lacing at the back. They can be worn by both adults and children. Whether worn at a Renaissance fair, LARP event, or other costuming occasion, these medieval wrist bracers will add interest to any look. Black, London Tan, Medium Brown, Chocolate Brown, and Chestnut color options are made of 9/10 ounce leather. Light Brown, Walnut, Red, Green, Royal Blue, Purple, Sunshine Yellow, and Golden Yellow are made of 7/8 ounce leather.